Google Nexus 7 Tablet was introduced in July last year when it was recognized as the first Android 7” Tablet comes with Quad-core processor and latest version of Android 4.1 Jelly Bean operating system. After the launch, the Google Nexus 7 Tablet got remarkable success and has been named “Gadget of the Year” at the annual T3 Gadget Awards. Though hipe was definitely created for its projection before launch but its one of those devices which proved to be true whatever manufacturer claimed. As understood from the title that this Google Nexus tablet is built with 7” display size along with 1280×800 HD display and 216 ppi. In addition, the scratch resistant corning glass coating on the screen increases the durability and a magnetic layering which also allows it to support SmartCover-style cases. The main highlighted feature of the Google Nexus 7 Tablet is its processing unit which is comprised of Quad Core NVIDIA Tegra 3 processor, 12-core GPU, 1GB RAM and 8GB or 16GB internal storage. It all combine to give the fastest tablet to do multitasking with ease and even handles the most graphically demanding mobile games. In addition with above main specs, Google Nexus 7 tablet comes with some other secondary features which includes, 1.2 MP front facing camera for video calling, 4,325 mAh battery (up to 8 hours of battery life), GPS, Microphone, etc. These features are subjected to hardware specs only, now lets talk about some apps, since it comes with Android 4.1 Jelly Bean OS which has Google Play for accessing unlimited apps and also the latest Google Now which tells you everything right on time about your surroundings like; traffic update, weather update, news alert, latest scores, etc. 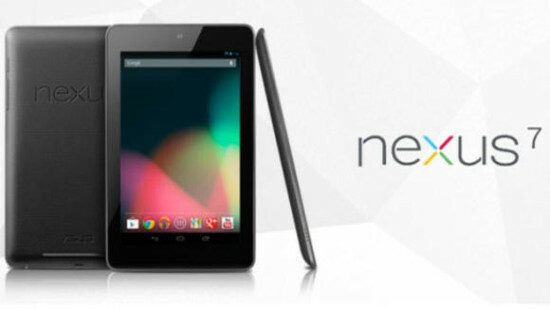 So if you are android lover and love to play games on mobile devices then we highly recommend you to definitely catch this Google Nexus 7 tablet (16GB) from Amazon Online Store at price of $230.18 with Free super Saver Shipping.